Now there is an even better reason to visit Chiang Mai and that’s to come and stay at one of the most iconic resorts in Thailand – Anantara Chiang Mai Resort and Spa. Built in the old compound of the former British Consulate dating from the 1920’s with the original building still retained and integrated within the hotel design, Anantara Chiang Mai is located in the heart of central Chiang Mai and situated on the banks of the Mae Ping River, within walking distance from the famous night markets. Complementing the new resort, your northern Thailand odyssey could be completed with a stay at Anantara Golden Triangle Elephant Camp and Resort in Chiang Rai just a few hours drive away. Hidden behind a tall wooden wall and opening onto Chiang Mai’s picturesque Mae Ping River, Anantara Chiang Mai Resort & Spa is Anantara’s newest luxury Thailand hideaway. Perfectly complementing the collection of exotic beach, urban and jungle retreats, Chiang Mai is renowned for its diverse and unique appeals, which can now be experienced through Anantara’s journeys of rich discovery and indulgent sense of riverside tranquillity. Chiang Mai is Thailand’s second largest city and the capital of the north, blending cosmopolitan city elements, ancient ruins and thriving traditions with a surrounding topography of verdant mountains, lush jungle and spectacular national parks. 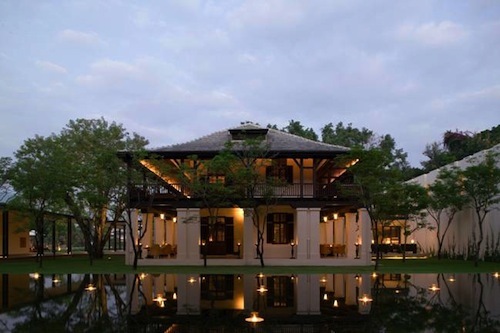 An intriguing destination for story collecting travellers to connect with fascinating history, colourful culture and breathtaking scenery, Anantara Chiang Mai Resort & Spa is a four hour drive from Anantara Golden Triangle Elephant Camp & Resort, creating exciting opportunities for a combined escape. From the outset, travel is pleasant, convenient and inspiring. 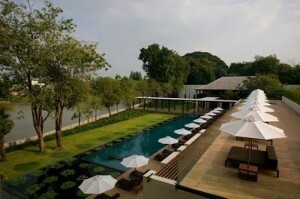 Situated just a short drive from Chiang Mai International Airport, Anantara Chiang Mai Resort & Spa, once checked in guests guests can rent complimentary bicycles to explore the enchanting riverside and city attractions, or travel local style in one of Thailand’s famous three wheeler tuk-tuks. While for guests who prefer a more browsing style of discovery, the famous Night Bazaar and moated old city are both within walking distance. 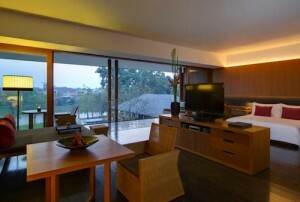 The waterfront sanctuary of striking contemporary style is accented by traditional Thai and colonial elements. Housed in a modern building of wood and expansive glass, 84 sleekly designed rooms and suites all feature a river facing balcony, where guests can watch traditional fishing boats drift by as they relax on a comfy double daybed. Inside, sunlight streams through floor-to-ceiling windows, illuminating contemporary décor of stylish furnishings and neutral hues, accented by jewel toned Thai silks and distinctive local artifacts. 52 Deluxe Rooms provide 50 square metres of elegantly appointed space, with a sumptuous bedroom adjoining a bathroom that invites long soaks in the deep terrazzo tub and the invigoration of a rain shower. 32 Club Suites impress with 105 square metres of space, from sharing meals at the dining table and luxuriating in a large open plan bathroom, to upgraded amenities such as Bose entertainment, an iPod dock, JURA Swiss brand coffee machine and a complimentary fully stocked mini bar. Extending the feeling of exclusivity, a host of privileges include private airport transfers, a private check-in and check-out service and full access to the discreet indoor-outdoor Club Lounge, where evolving culinary temptations begin with a delectable breakfast buffet, leading into all day refreshments, afternoon tea and sunset cocktails with fusion canapés, enhanced by an offering of books, CDs, DVDs, magazines, international newspapers and laptops. World class facilities tempt lazy days at the beautiful resort. Guests can sunbathe in quiet seclusion and swim in the 34 metre riverside pool. Working out in the fitness centre and signing up for revitalising yoga classes is even more inspiring thanks to a gorgeous river vista. Retreating to the inner sanctum of Anantara Spa, a focus on pure holistic pampering encompasses exotic Thai wellness rituals. 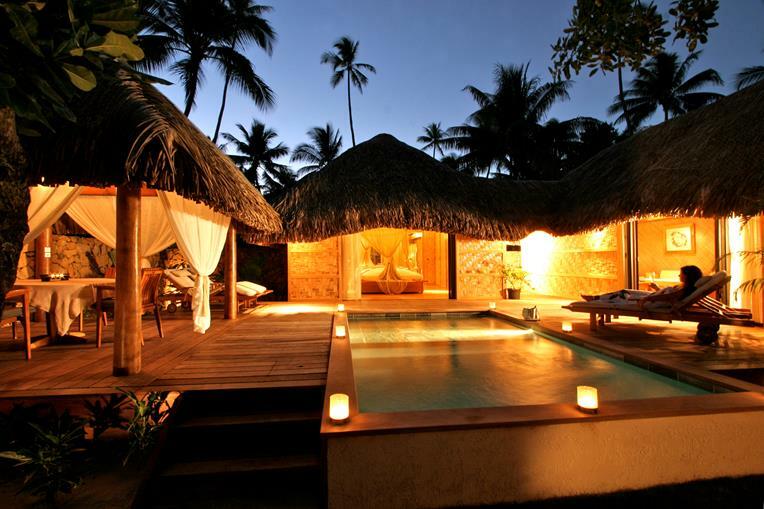 A choice of restaurants and bars tantalise the taste buds with mouth-watering menus and enchanting settings. You culinary journey begins each morning with breakfast on the wooden veranda of the inner courtyard or riverside deck. Guests can then sink into cushioned daybeds at the Lobby Lounge for morning refreshments overlooking the courtyard pond and garden. For lunch and dinner east meets west with a contemporary take on West Asian and international classics. Located on the second floor of The Restaurant, The Terrace Bar is ideal for pre-and post-dinner gatherings. The cozy daybeds, relaxed ambiance, premium wine list and extensive cigar & malt menu, make this charming venue a favorite haunt for many. The former colonial British consulate building exudes old world charm and presents delightful high tea rituals, serving a plentiful tower of savoury snacks, scones and sweet treats with exotic teas, homemade ice creams and sorbets, under the shade of the heritage verandah. The Colonial House also offers an idyllic venue for intimate and exclusive events. By day guests can discover Chiang Mai’s quirky café, art and boutique scenes, as well as the old city’s famous number of ornate temples, Lanna Kingdom ruins, bustling markets and authentic Thai eateries, all embraced by a pretty moat with ancient gates, fountains and elephant statues. Culture and nature enthusiasts can embark on elephant treks and bamboo river rafting trips, visits to national parks, hill tribes and handicraft villages. A wide range of adrenalin pumping activities, such as zip lining through the rainforest canopy, contrast with relaxing leisure attractions, from sunset river cruises to world class golf courses surrounded by the Himalayan foothills. The art of perfect meetings and events takes place in The Meeting Room which can host 49 delegates with flexible seating arrangements or in The Boardroom for a dozen executives, with both venues offering state of the art audio-visual facilities and supporting business services. Inspired wedding celebrations take place at The Restaurant, from intimate tables inside the charming colonial building, to parties of up to 40 special guests on the river facing balcony, and as many as 200 guests enjoying elegant riverside festivities that flow indoors and out.